This is what Audiobus looks like in Loopy (full video below). We’re as guilty as anyone of hyping Audiobus, a nifty little iOS music ecosystem that lets participating app developers zap music between apps running on the same iOS device, and which Apple has approved. Based on our understanding, Audiobus will let one app identify the songs playing in another app, let you sing autotuned nonsense into one app and record it with another, scrobble what you’re hearing across multiple apps, and all sorts of cool stuff. A future version should even let music apps on different iOS devices play audio to each other in real time, allowing any app to allow people to play music together using apps on different devices (a la Apple Garageband). 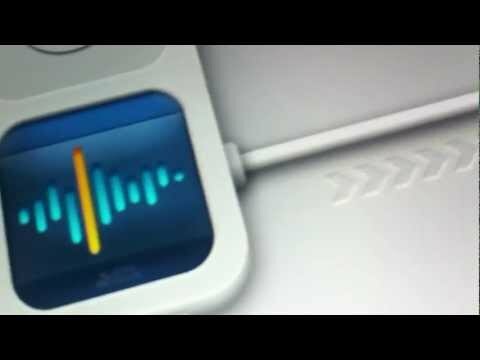 Audiobus is the missing “audio cable” between iOS music apps. If it works as promised, it will lead to all sorts of neat stuff. Audiobus says the mothership app that controls all of this advanced music routing will cost musicians and music fans $10, but Audiobus will be free for any developer to include in their app. Whatever Audiobus will be, and whether it will in fact take off despite charging consumers to use it (“What, us? Like, actually pay for stuff?”), we’ll find out soon. The company announced today that Audiobus will be released to the general public on December 10. We haven’t seen it let, because according to Audiobus, Apple only lets 100 people beta-test something like this, and the company needed all of those slots for developers. After that, Audiobus says it will add a second wave of developers. If it takes off, we expect great things, because some of the neatest music apps on computers (Last.fm audioscrobbler (in a sense), VSTi instruments, Rebirth/Rewire, etc.) involve sending audio to and from other apps.